Chat software is quickly becoming an integral part of any website. With the best live chat software, your agents have the opportunity to answer questions and build rapport with potential customers. This keeps them from getting lost and produces higher engagement. A lot has been said about AI-based chatbots lately, but thousands of businesses are still getting great mileage out of conventional chat interfaces with live agents. It really wasn’t that long ago when live, responsive chat for website visitors was a new idea – but now, it has come into its own. 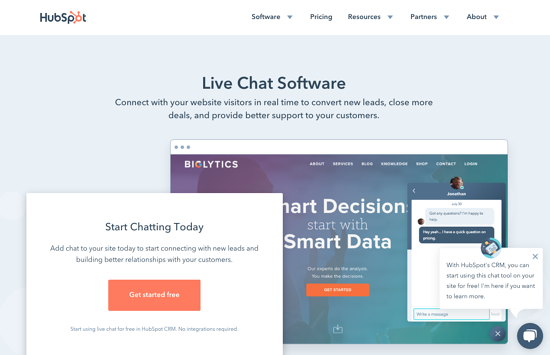 Let’s look at some of the most powerful, intuitive, and just plain useful live chat softwares in 2019. 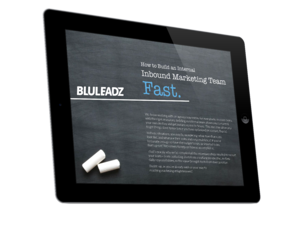 Here at Bluleadz, we are big fans of HubSpot. And for good reason – they led the inbound marketing revolution and are continuing to change how businesses operate in the marketing, sales, and service space. HubSpot Live Chat is just another awesome tool from the best of the best. There are plenty of amazing benefits you can enjoy using this free live chat software. It works well on any platform and can be easily customized to match your website's look and feel. You can also build custom chatbots that fully integrate with live chat. It also integrates seamlessly with Slack, making it easy for your team to respond to ongoing conversations from anywhere, at any time. Each of these conversations is automatically stored in contact records, making it easy for your teams to review past discussions to engage in more informed communications. The power of combining their free live chat software and their free CRM cannot be overstated. With a few simple setups, you're well on your way to better serving your prospects and customers. One of the pioneers of live web chat as we know it today, LiveChat has a robust feature set while still being easy to use. 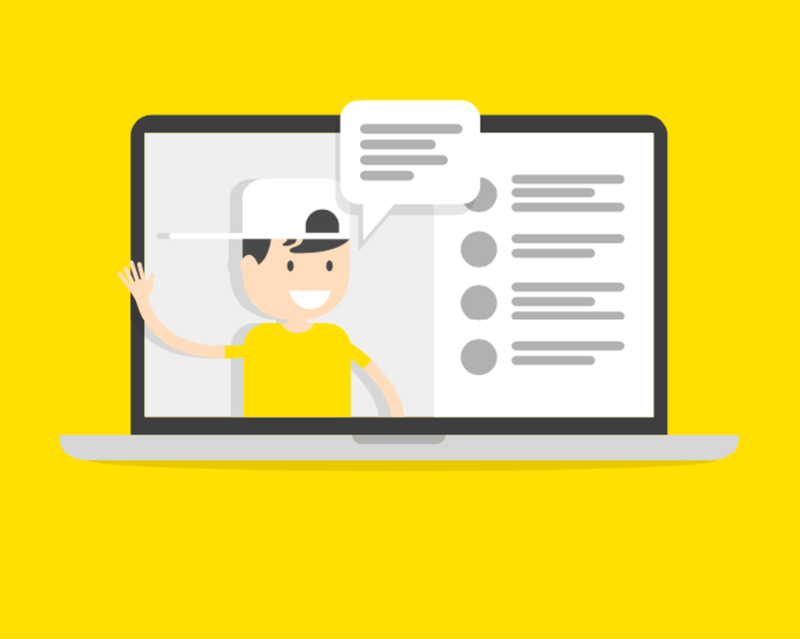 It allows you to review user activity throughout your site and invite users to chats proactively – plus, customers can start a conversation any time. LiveChat allows you to increase sales and improve customer satisfaction with 24/7 support. Each agent can have their own name, avatar, schedule, and much more. Plus, it’s easy to keep track of questions users have left when no agents are available, so following up is a snap. 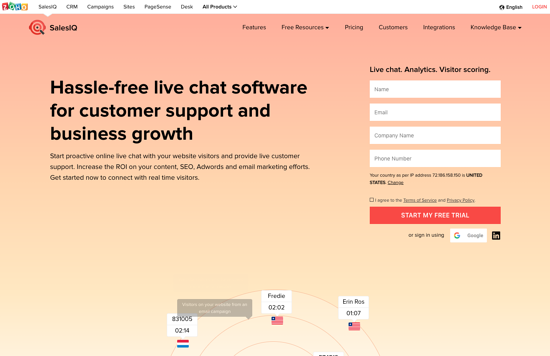 LiveChat provides a free 30-day trial. Most account levels include unlimited agent accounts, an unlimited chat history, full customization, and reporting. Some advanced features, like the work scheduler, are limited to the more advanced service tiers, like the Business plan that starts at $50 per month for each agent. 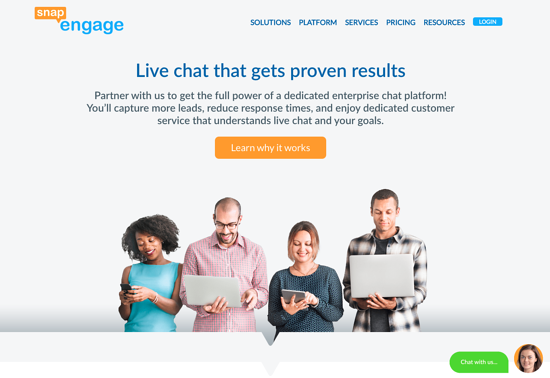 SnapEngage is well known as the chat choice more people switch to when they are dissatisfied with their current solution. What’s the draw? For one thing, it’s fully customizable – providing a unique toolset that allows you to create the look and feel you want without a graphic designer. SnapEngage boasts of being one of the most scalable, robust, and secure platforms around, so you will definitely want to consider it if you are in an industry where security is central. It is even compatible with the notoriously strict PCI and HIPAA standards. What makes SnapEngage stand out for marketers is its deep analytics platform. You can access high-value insights into your user and agent behavior to improve your business. Plans start at $16 per month for each user, with a 15-day trial to check it all out. For enterprises, pricing is $40 per user every month. HappyFox Chat’s reputation is built on its blazing fast speed and ultra-simple integration with a variety of apps and plugins you already use. 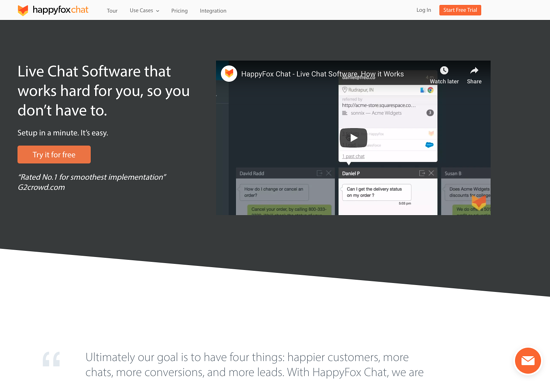 You can streamline your business by synching up HappyFox Chat with Slack, Salesforce, and many others. Simple, lightweight, and engagement-focused, HappyFox comes out of the box looking like the sharpest mobile apps. In addition to premium performance, its streamlined agent interface gives it an easy learning curve so you can get started right away. 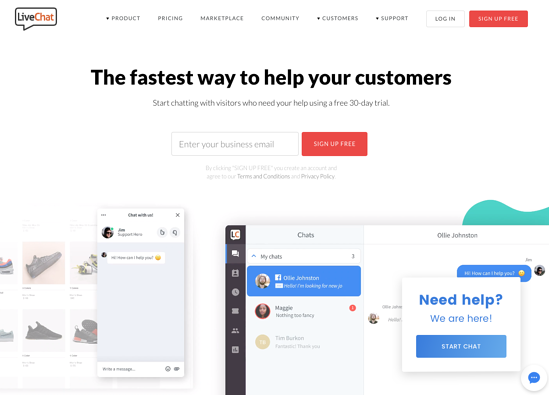 HappyFox stands out by delivering all the info on specific customers, as well as “30,000-foot” trends, directly to you so you can use your data without losing track of the conversation. Starting at just $29.99 a month per agent, this happiest of foxes gives you a 14-day test drive with no obligation. 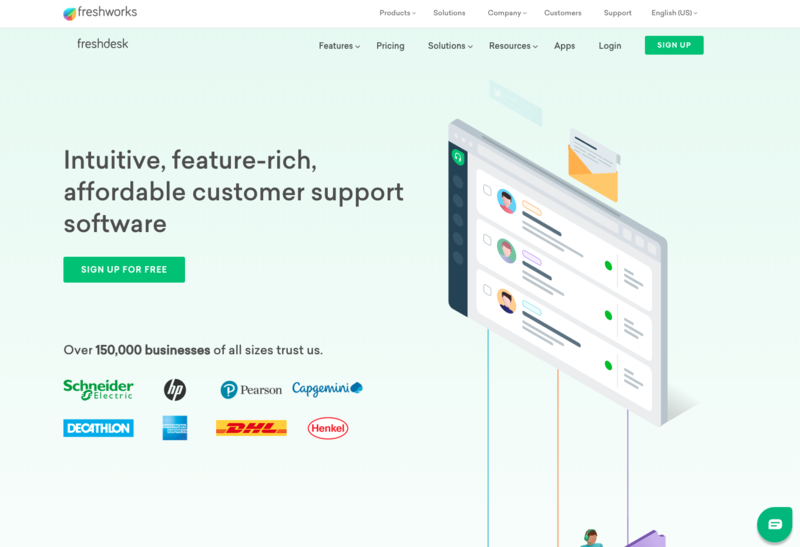 Zoho SalesIQ isn’t the most famous name on this list of best live chat software, but it’s winning fans across a range of industries for its various standout features. In addition to a full complement of tools for tracking and engaging visitors, it provides real-time lead scoring to help agents focus their efforts. Zoho allows you to take a fine-grained approach to targeting web visitors for conversion with customized responses triggered by actions on your website. This gives you the opportunity to create a seamless user experience from your email campaign through to your website. Zoho SalesIQ integrates beautifully with the company’s own CRM, which can create powerful results for both sales and marketing pros. It’s also compatible with Zendesk, Shopify, HubSpot and more. It’s one of the only picks with a simplified “forever free” plan, too. Freshdesk works as a centralized solution for communicating with customers and prospects. Any chat you capture through the app can be converted into a support ticket and delegated to another agent or staff member. Plus, you can pull in messages from channels like email and social media. Freshdesk might be the ideal solution for a business that handles lots of detailed support calls. By automatically routing chats to the right person, you can streamline support and resolve issues the first time. Naturally, you can also start chats with your users proactively. With unlimited chat history and detailed reports, Freshdesk works hard to make sure you don’t have to go outside the app to get the data you need. Its full-featured agent to agent chat helps prevent oversights. In addition to a free trial, it also has a free tier offering unlimited agent seats. While you're reading this, your visitors are out there, clicking and scrolling through your site. Are they finding what they need? Are they running into problems? Live chat is one way you can rescue them. By using chat strategically and with a deft touch, you enhance engagement and accelerate the sales cycle. With so many apps to choose from, you’re sure to find the one that’s the missing piece in your online customer service. There’s no better way to make a great impression and get prospects more comfortable with your brand.